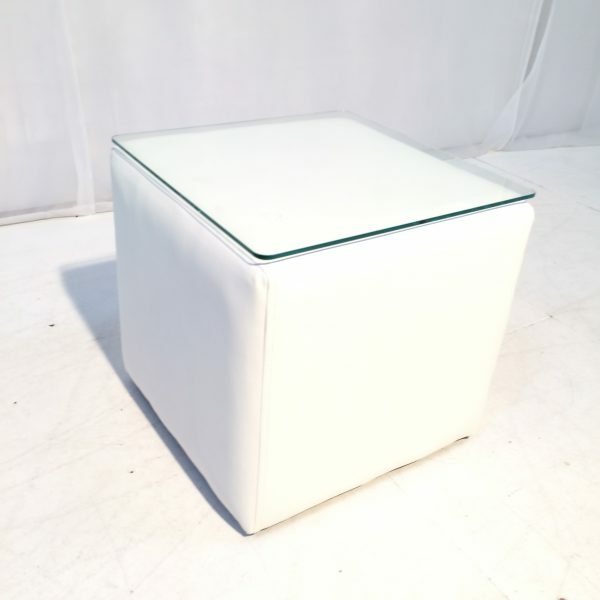 This Cabo Table is a small white cube table covered in faux leather. 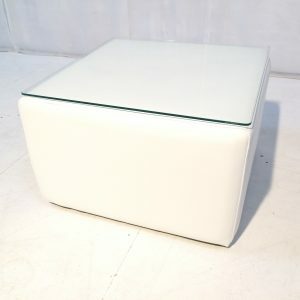 It has a glass top and invisible feet to keep it securely in place. 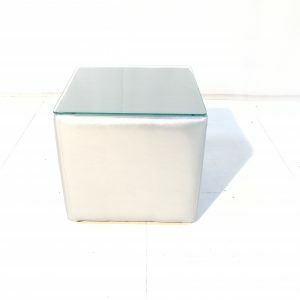 This small size table is also available in black and silver. 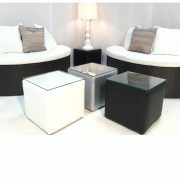 The White Cabo Table is also available in large size. 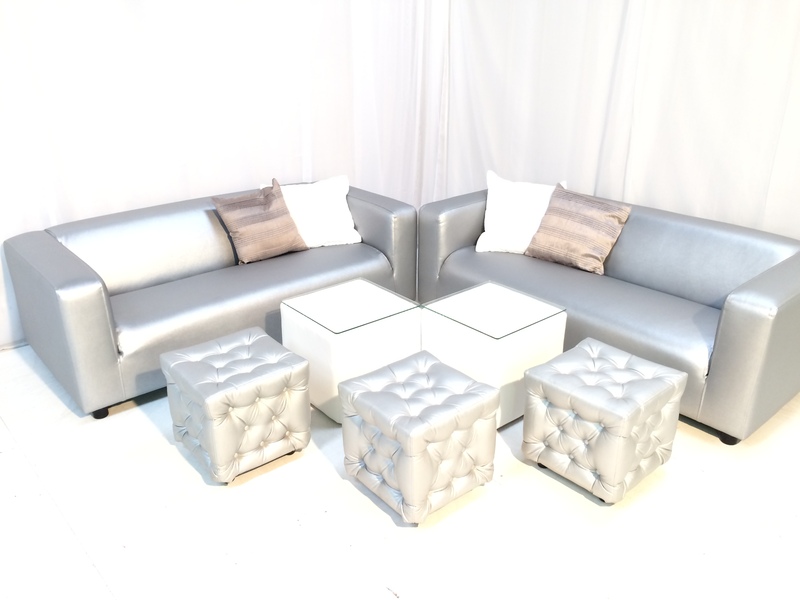 Ideal as a side table for any of our sofa ranges, the White Cabo Table is a practical and stylish solution for any event. 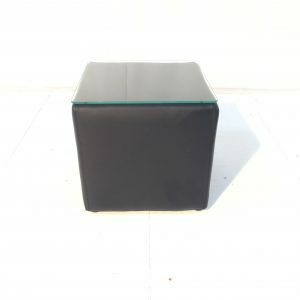 Especially popular with our Club Lounge Sofas – group a few cubes together to create a bigger table or just place single tables wherever you need them! 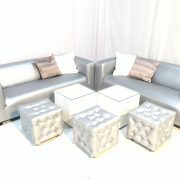 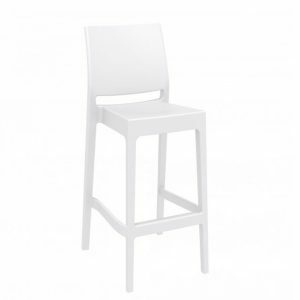 Or why not create clean, crisp lines of seating and tables by using them alongside our white faux leather Club Ottomans. 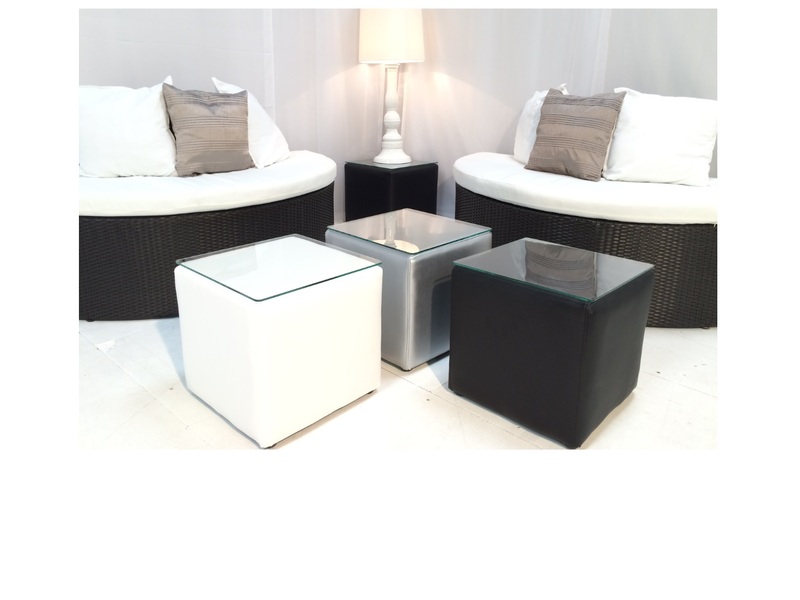 For a summer pool party, try placing these white cube tables alongside our circular white rattan daybeds; they’re the perfect height! 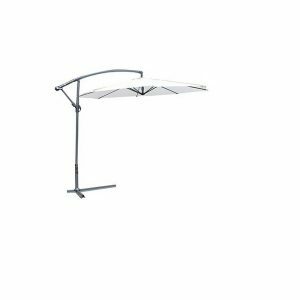 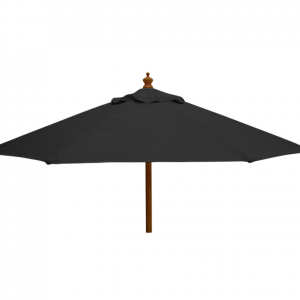 Imagine relaxing with a glass of chilled fizz in the sunshine, underneath our white cantilever umbrellas as you and your guests take a break from partying! 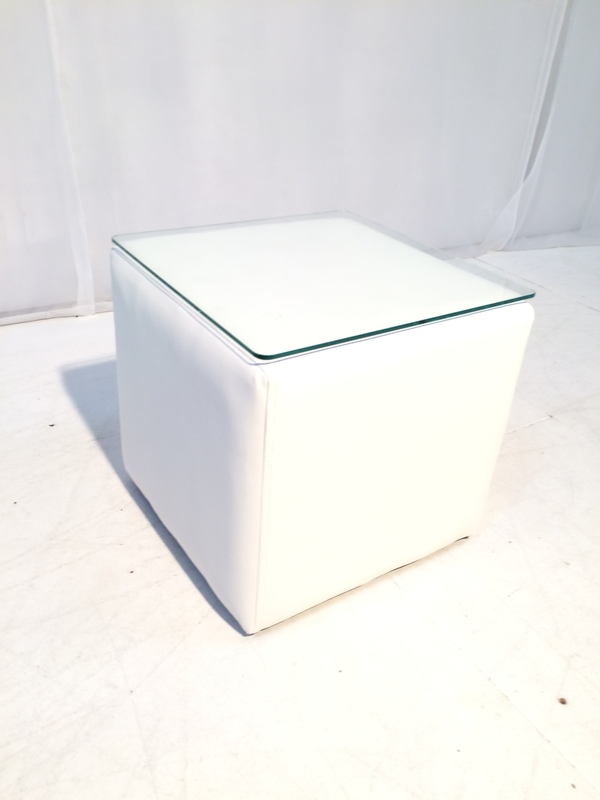 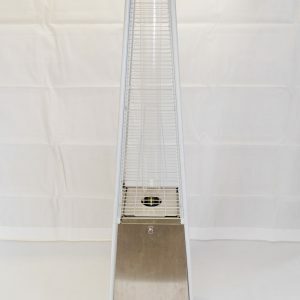 One of our most popular hire items, the White Cabo Table is essential for your next event. 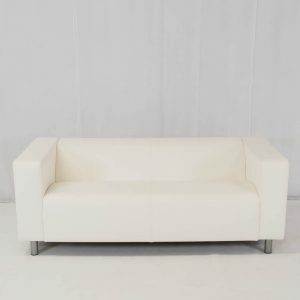 Don’t delay, add some to your quote today!